Almost one million children are in need of treatment for severe acute malnutrition in Eastern and Southern Africa, UNICEF said today. Two years of erratic rain and drought have combined with one of the most powerful El Niño events in 50 years to wreak havoc on the lives of the most vulnerable children. Ethiopia: Currently, 8.2 million people require immediate food assistance and 350,000 children expected to require treatment for severe acute malnutrition by the end of 2015. 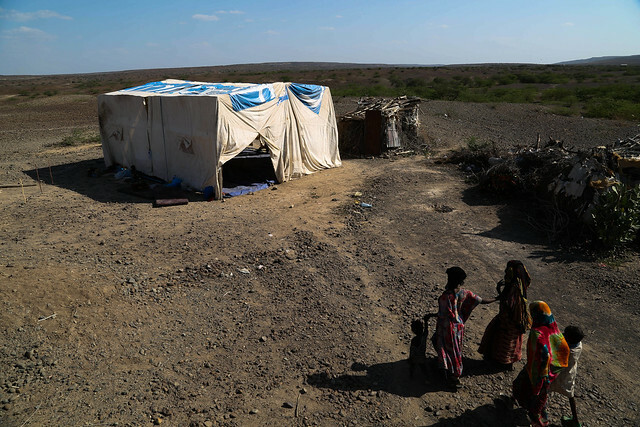 Addis Ababa, 13 October 2015: The Government of Ethiopia announced yesterday, during a meeting with UN agencies, NGOs, and Donor representatives, that the number of people in need of relief assistance in Ethiopia due to El Niño phenomenon had increased to 8.2 million. 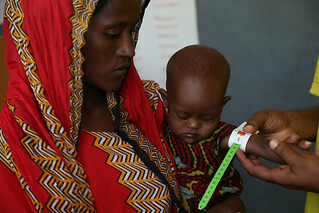 An inter-agency assessment conducted last month and led by the government identified an additional 3.6 million people in need of food assistance (from 4.55 million in August) as well as 300,000 children in need of specialized nutritious food and a projected 48,000 more children under five suffering from severe malnutrition. An addendum to the joint-Government and humanitarian partners- Humanitarian Requirements Document (HRD) mid-year review was signed to officialise the increase in humanitarian needs. The National Disaster Prevention and Preparedness Committee (NDPPC), the high level national advisory body overseeing the Government response, further requested the government lead a multi-sector, multi-agency annual meher assessment in October (rather than November). This will enable the Government and partners to expedite planning and assistance provision for 2016. His Excellency Mr Mitiku Kassa, NDPPC Secretary, explained during the meeting yesterday that the Government committed some 4 billion Ethiopian Birr (US$192 million), to address emergency food and non-food needs as a result of failed spring belg and poor summer kiremt rains caused by the climatic phenomenon known as El Niño. “The El Niño conditions have brought Ethiopia a great challenge, but the Government and Regional States are ready to meet the needs of the people alongside partners in the international community,” said Mr Kassa. He further stated that the Government would continue to allocate resources as necessary to meet the needs of the Ethiopian people. “The challenge we have before us is incredibly serious, and it will take the collective effort of the entire international community to support the Government in preventing the worst effects of El Niño now and well into next year,” said Mr John Aylieff, Acting Humanitarian Coordinator and Country Director for the UN’s World Food Programme. Affected areas include southern Tigray, eastern Amhara, Afar, and Siti zone of Somali region, eastern SNNP, East and West Hararge, Arsi and West Arsi, and lower Bale zones of Oromia. Water and pasture shortages decreased livestock production and caused livestock deaths in pastoralist and agro-pastoralist communities. The number of woredas (districts) prioritized for nutrition interventions doubled from 97 in July to 142 in September, and the number of severely malnourished children requiring therapeutic feeding in August reached 43,000 children. This is higher than any month of the 2011 Horn of Africa crisis. “Donors have been generous,” said Mr Paul Handley, OCHA’s Head of Office, “but if we are to meet the significant needs before us today, and more in the months ahead, we need far more support. We count on that generosity to continue,” he said. The Mid-Year Review of Ethiopia’s Humanitarian Requirements Document (HRD), issued on 18 August 2015, listed $432 million in funding requirements with contributions totalling $258 million (or, 55 per cent funding). The September rapid assessment conducted at the end of September highlighted increases in humanitarian need across several life-saving sectors, most notably food assistance, targeted supplementary food (TSF), therapeutic nutrition, emergency water interventions, and agriculture and livelihoods. Factoring in the previous shortfalls with adjusted needs, the 2015 humanitarian requirements were adjusted to $596.4 million, leaving the HRD funded at 43 per cent. The on-going effects of the El Niño may further affect the weather patterns this autumn, with Ethiopia’s National Meteorological Agency (NMA) predicting strong rains along the Omo, Shabelle, and Awash rivers. This may impact harvests in some areas and cause flooding during the last quarter of the year. 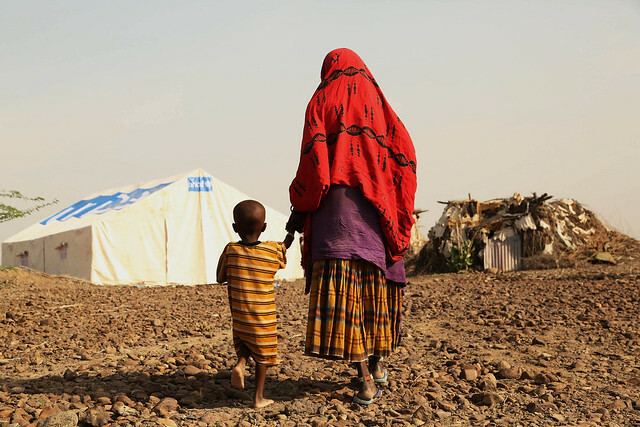 In addition to food and nutrition needs, Ethiopia’s Humanitarian Requirements Document outlines emergency requirements in the health, WASH, agriculture and education sectors. Most sectors saw the figures of those in need increase. The Ethiopia Humanitarian Country Team again calls on all partners to work closely together to address emergency needs whilst safeguarding development gains. 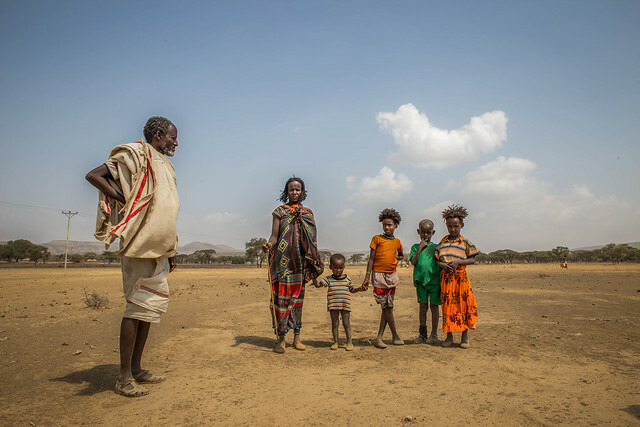 Three weeks ago the Ethiopia Humanitarian Country Team also released a forward-looking document (prepared in consultation with Government) called ‘Ethiopia Slow onset natural disaster: El Niño Driven Emergency’, available to download here.